French Ligue 1 giants Paris Saint Germain (PSG) have emerged as favourites for highly-rated Ajax Amsterdam midfielder Frenkie De Jong. De Jong, 21, has been a key player for the Dutch Eredivisie giants since he made his debut for his boyhood club in 2016. His impressive performances for both club and country have led to transfer rumours about a possible move to other European heavyweights. European sides like Barcelona, Manchester City, Juventus, Manchester United and Paris Saint Germain (PSG) have been linked with the young Dutch midfield. According to the publication from De Telegraaf via France 24, PSG have moved to the front of the queue for the player and they are willing to offer as much as €75m in their quest to sign their transfer target. 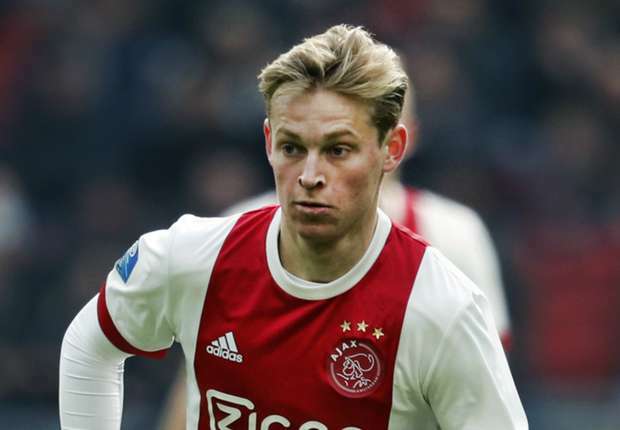 It was also revealed that the timely intervention of club directors Maxwell and Antero Henrique has made the French capital club favourites for Frenkie De Jong. In addition to his sensational outings for Ajax, Frenkie De Jong has emerged as a big player for the Dutch national team. He played a major role for the three-time World Cup finalists in their qualification for the UEFA Nations League semifinals. Manager Ronald Koeman will be hoping to count on him when they face England in the last four next year.